The teams will need to source their own 25+ year old car to use on the rally. There are no budget restrictions but if the car dies, you leave it behind & it’s up to you to retrieve it after the rally if you want to keep it. There will be no auction after the rally so you will be able to drive it to and from the departure/arrival location. Each team will need to raise a minimum amount of $3,500 for Cancer Council but every extra dollar counts. 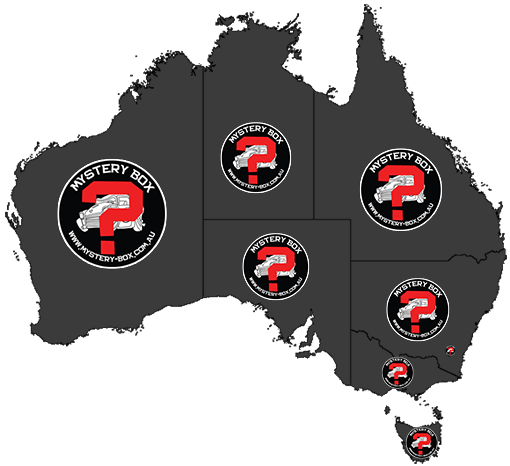 In 2019 Mystery Box Rally will depart Byron Bay, leaving August 17 and returning August 21. The rally itself runs for 5 days, starting on a Saturday morning and coming back to town on a Wednesday afternoon. You will need to be at the start location on the Friday afternoon for the briefing and of course stick around for the party on the Wednesday night. This trip is not about creature comforts but it will be an amazing experience. We camp each night of the rally therefore you will need to bring your own tent, sleeping bag and mattress or swag. We organise (where possible) 3 meals a day as well as booking all of the camping locations. 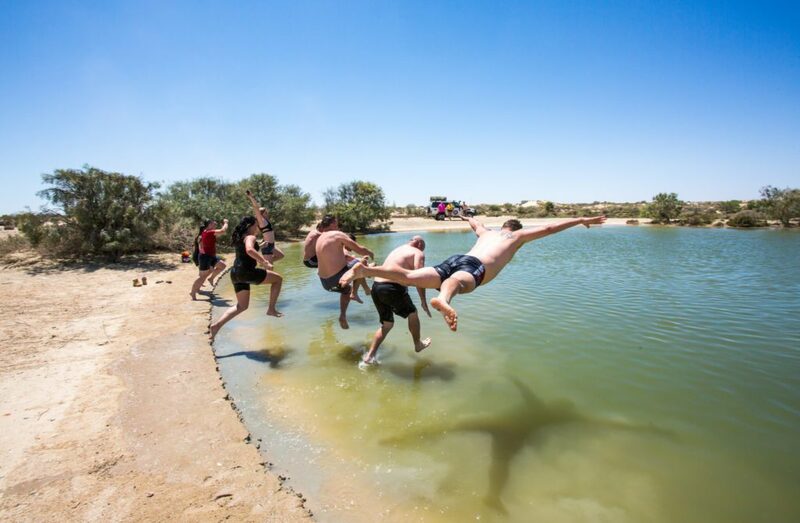 We will provide you with an itinerary that lists what we are doing at each place and the costs for catering & camping are paid ahead of time. You will have plenty of advanced notice in case you need to take care of your own food on a particular day. Where to each day? Who knows?!? 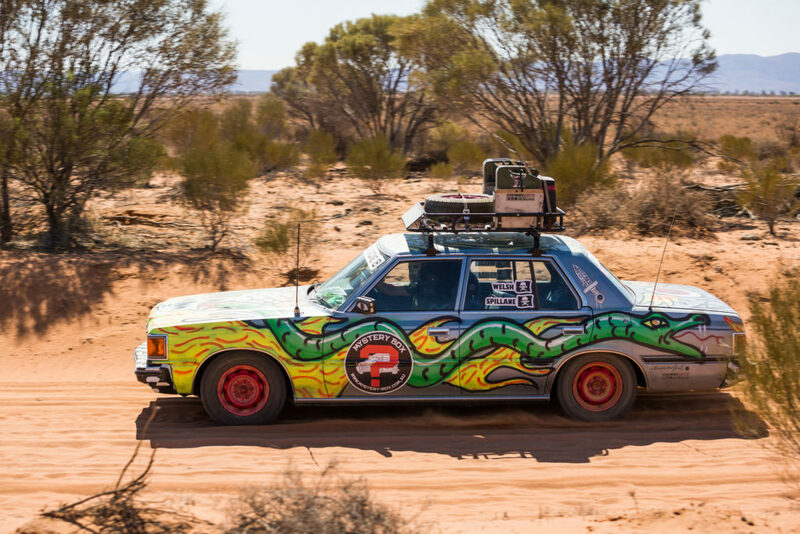 2019 Mystery Box Rally will start and finish in Byron Bay. You won’t know the details until the end of the rally as you won’t know where we are going each day. What we will tell you though is the departure location will be the same as our final destination, so the rally will be a loop. 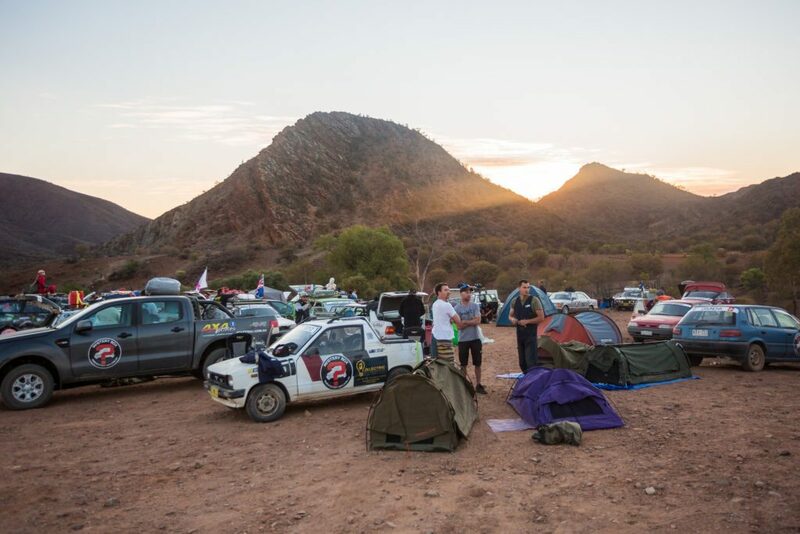 Registration fee: $625 per team of 2 (including GST), paid in advance when your registration is accepted and covers your Mystery Box Rally pack (tshirt, bag, stubby holder), some support costs and other safety items. 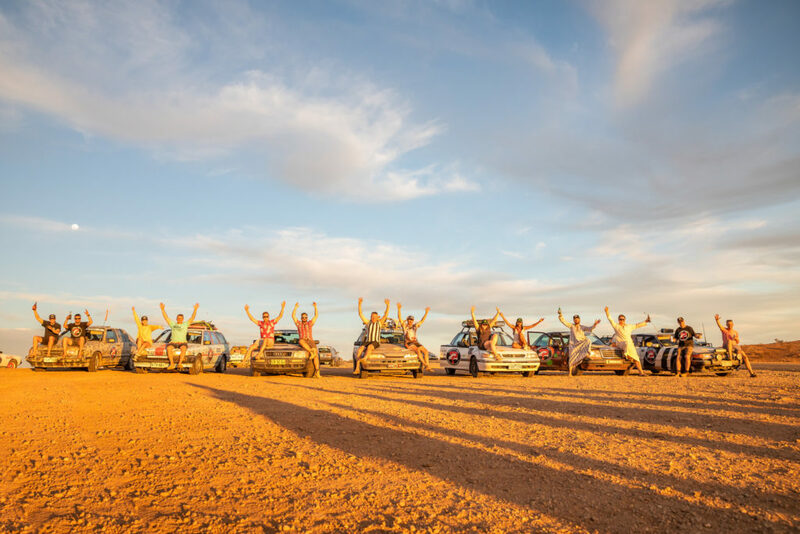 The aim of Mystery Box Rally is to raise much needed funds for cancer research. Once your team is confirmed you will be confirmed as an official fundraiser for Cancer Council and will set up an online fundraising page. A minimum of 80% of total funds raised will go to Cancer Council. The remaining 20% goes towards covering the costs of organising and running the rally. Each team must raise a minimum of $3,500 to participate in the rally, so with two of you your individual commitment is only $1,750 each. Donations come from friends, work colleagues and family as well as events and sponsorships to bring in some bigger amounts. Cancer Council have helpful fundraising tips that are included in your welcome pack once your team is up and running. We also provide a lot of tips for fundraising that we know work well. Each team is made up of 2 drivers no more, no less. The reason for this is that we may need all the extra room we can get for passengers of those cars that can’t manage the entire journey. Also by keeping only two people per team it means that we can allow more teams into the rally as we are limited in the total number of people we can take on the rally. This is entirely your responsibility, but they must be registered, road worthy and insured, but most importantly they must be 25 years old or over and must be 2WD. 4WD, AWD, Vintage/Veteran cars and buses are not permitted. If your car breaks down on the rally and cannot be fixed it will be disposed of or you can work with the locals to get it shipped home. There are no budget restrictions for your car purchase, but as you have no idea where you will be travelling or the roads we will be using, we recommend you keep your budget low in case your car does not make it. This rally is not a race, but there will be a winner. Prizes are awarded at the end of the rally. The main prize, or 1st place if you like will be judged on a number of factors including how hopeless your car is, how much you have gotten into the rally spirit, how much your team has raised and a number of other undisclosed reasons that the Rally Director will generally make up as the rally unfolds.